Minimally invasive laser treatment stops periodontal disease. Syracuse, New York native John Eastman decided at a relatively early age that the cold, snowy Northeastern winters weren’t for him, so about eight years ago, he and his wife packed up their lives and moved to Florida. Now an inventory specialist for Charlotte County Fire and EMS, John currently spends not only his winters but every other season making sure the fire trucks, ambulances and animal control trucks used across Charlotte County stay in tip-top shape. 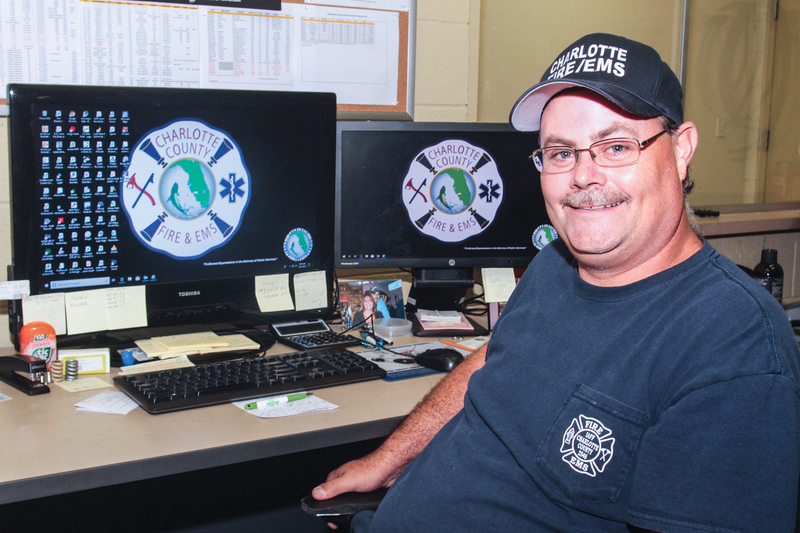 “Whenever one of those emergency vehicles needs a part, I order it, and I keep a stock count of everything we have and what we use the most so that we have everything we need to keep those vehicles on the road and running,” John relates. John’s New York-based firefighter training did not transfer to Florida, so his days as a volunteer firefighter have been put on hold. He recently wound up fighting a three-alarm fire all his own nevertheless. “I was not one of those guys who went to the dentist all the time, and it eventually caught up with me, because I got to a point recently where I could not brush my teeth without my gums bleeding, and bleeding very badly,” John explains. Those two issues sparked an earnest search for a dentist that began with John asking some of his co-workers for recommendations. One co-worker recommended Joseph H. Farag, DMD, at Port Charlotte Dental Care. John first saw Dr. Farag during the first week of January 2018. During that visit, Dr. Farag learned that John was a heavy smoker who had neglected his teeth for years. 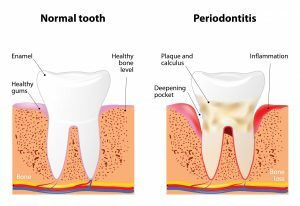 A full examination revealed the result of those habits was a severe case of periodontal disease. “We noticed he had a lot of deep pockets in the gums around his teeth,” Dr. Farag explains. “Most of those pockets were five millimeters deep, but in some cases, they were up to ten millimeters deep, whereas healthy pockets are between one and three millimeters. Based on his findings, Dr. Farag recommended John undergo a specific minimally invasive laser treatment that he’s been performing for more than a decade called LANAP®, which stands for laser-assisted new attachment procedure. 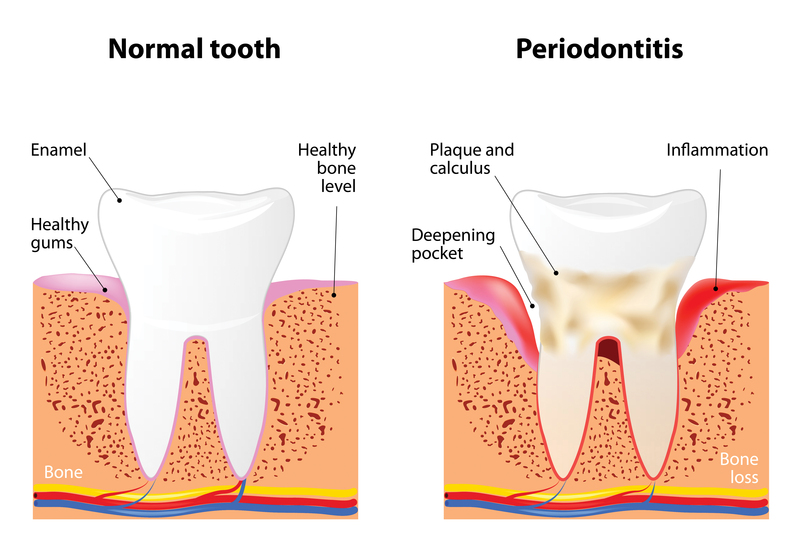 LANAP is not the only treatment option for patients suffering from periodontal disease, but Dr. Farag considers it best because it improves the attachment between the gums and teeth, does not result in a gross loss of tissue or gum recession and is pain free. Another reason Dr. Farag recommended the LANAP procedure for John is because of the significant loss of bone he had suffered around his teeth. In addition to healing gum tissue, Dr. Farag explains, LANAP can also improve bone quality and density. “The LANAP procedure does improve the quality of the existing bone, and in some cases, we can re-grow bone,” Dr. Farag confirms. “But in cases involving a smoker such as John, we’re often happy if we can stop the bone loss. “Smoking amplifies the periodontal disease. It makes it worse because nicotine in the cigarette constricts the capillaries, which are the blood vessels in the tissue, stalls healing and creates an environment where bacteria thrive. In John’s case, the bone loss was, in some areas, significant. Though the loss was 20 percent in most areas, there were areas where the loss was nearly 40 percent and some others where it was greater than 70 percent. Because of the bone loss and the advanced nature of his periodontal disease, John was on a track that would have resulted in him eventually losing several teeth. That bottom line made him an ideal candidate for the LANAP procedure, which John agreed to. “My only hesitation was that I have a problem holding my mouth open for long periods of time because I always begin to gag,” John says. “That’s one of the reasons why I’ve never really gone to the dentist a lot. 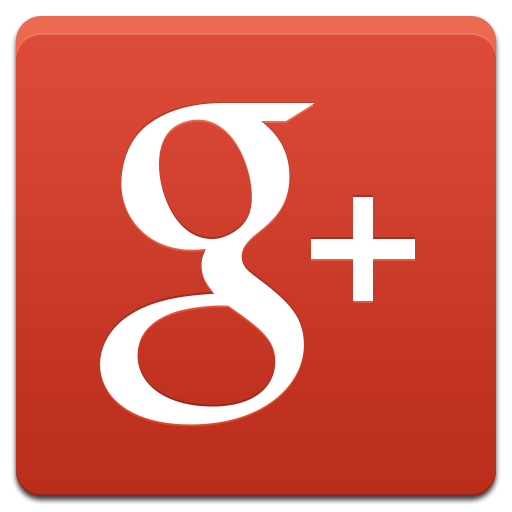 “But Dr. Farag assured me everything would be fine and gave me a very light relaxant of some kind, something I took about an hour before the surgery and that helped to settle me down, which made the procedure even easier on me. Despite the advanced nature of his periodontal disease, John’s LANAP procedure took only about two hours to complete, which is typical. During those two hours, the entire mouth was treated through three steps. Dr. Farag explains that during the first laser pass, the energy from the laser kills any bacteria in the gums, vaporizes the diseased gum tissue and dehydrates the tartar on the teeth, making it brittle and easy to remove. During the second step, the tartar is removed with a fine-tipped, vibrating, ultrasonic instrument. The teeth are then rinsed with an antimicrobial substance that halts the growth of new bacteria. During this step, the diseased lining of the tissue is removed and the bone surrounding the teeth is debride of infected tissue. Finally, during a third pass of the laser at a different setting than the first, an antimicrobial seal is created that prevents re-infection and releases growth factors from blood cells that help regenerate the attachment between the gums and the teeth. “The patient doesn’t have any sensation of what we’re doing during the procedure because we use a local dental anesthetic, just as we do if we’re doing a filling,” Dr. Farag says. “That’s how patients stay comfortable during the process. That soft-food directive wasn’t the only post-procedure instruction John received. He was also ordered not to smoke during the healing process. For a man with a nearly two-pack-a-day habit, that figured to be a difficult order to follow. John managed, however. John recently resumed his smoking habit, but he says he is smoking only about ten cigarettes a day now and is on a “quit plan” that he is confident will rid him of the habit for good. Meanwhile, his gums have healed nicely, and his overall oral health has improved markedly. “My teeth feel much, much better, and there’s no more bleeding when I brush anymore,” John exudes. “I’m forty-five years old, and for the first time in my life, really, I’m taking care of my teeth the right way because Dr. Farag and his staff showed me how to brush and floss properly. Now, I know why my buddy couldn’t stop talking so highly of Dr. Farag. 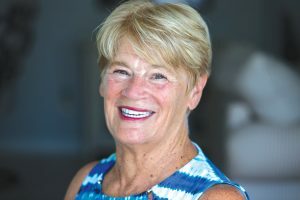 A painfully bad experience at a young age helped Anne Anderson develop what she refers to as “a healthy fear of dentists.” It was a fear Anne held on to for more than 60 years. During that time, another fear developed inside the now 71-year-old. “I was in the process of finding a new doctor when it happened,” Anne explains. “I was sitting in a doctor’s waiting room, and I saw the paper and read an article in there about a man who had a lot of the same problems I had. The dentist Anne read about in the article is Dr. Farag, who practices a full scope of general, cosmetic and implant dentistry. By the end of his initial examination of her, Dr. Farag had already won Anne over. “He did a very thorough exam – x-rays, the whole bit,” Anne informs. “Afterward, we had a discussion, and I was just so pleased that he wasn’t telling me he was going to have to pull all my teeth starting tomorrow. I was truly relieved by that. “Then he asked me what my vision was of what I wanted to look like at the end. I told him I didn’t want to be embarrassed to smile anymore and that I’d really like to have good-looking teeth. That’s when he said, I think I can help you. Dr. Farag began the restoration of Anne’s smile by first addressing her periodontitis, a gum disease that causes the gums to pull away from the teeth, leaving pockets in which bacteria can grow. The bacteria can lead to infection and tooth loss, which is what had happened to Anne. For patients such as Anne, who was scheduled to receive treatment for several other dental issues following the LANAP procedure, Dr. Farag usually waits three months before beginning any subsequent treatments. During those three months, Dr. Farag says that he expects patients to take his and his staff’s advice the way John did and develop a good homecare regimen that will ensure the periodontal disease does not return. Anne was what Dr. Farag refers to as “a good patient.” She did such a good job of sticking to her homecare regimen that Dr. Farag began attacking some of the other issues she had with her teeth after only a couple of months. The next issue he took on was replacing her missing teeth. Over the years, Anne had lost two teeth on the lower arch and two more on the top. She was given several replacement options to consider and chose dental implants for the lower arch and a unique prosthetic for the upper. Considered the gold standard for replacing missing teeth, implants are artificial roots that are surgically anchored into the jawbone. The healing portion of the implant procedure usually takes three to six months. During that time, the implant fuses with the bone, creating a solid unit that becomes the foundation for a crown or possibly even a bridge. The prosthetic, meanwhile, is what Dr. Farag refers to as a “highly aesthetic cosmetic partial.” It’s polymer-based and adapts to the tissues and the teeth, so no wires or clasps are needed to keep it in place. This prosthetic masks any restoration work that is done but leaves the patient with the option of doing implants or something else later. “I knew I had to do something about my teeth,” she says. “I guess I was just waiting for the right moment, and then I read that article, and it inspired me to finally get the work done, and I‘m so glad I did because the experience I had has been life-changing.